Because I wanted the full experience, I wanted to hook up my NES controller to my Raspberry Pi and play NES games. I looked around and didn't find anything that fit my needs. I wrote a script, that's up on Github now, that converts button presses on the NES controller to keyboard presses. So for example, by pressing the A button it registers as pressing the Z key on a keyboard. How to set it up is all right here. 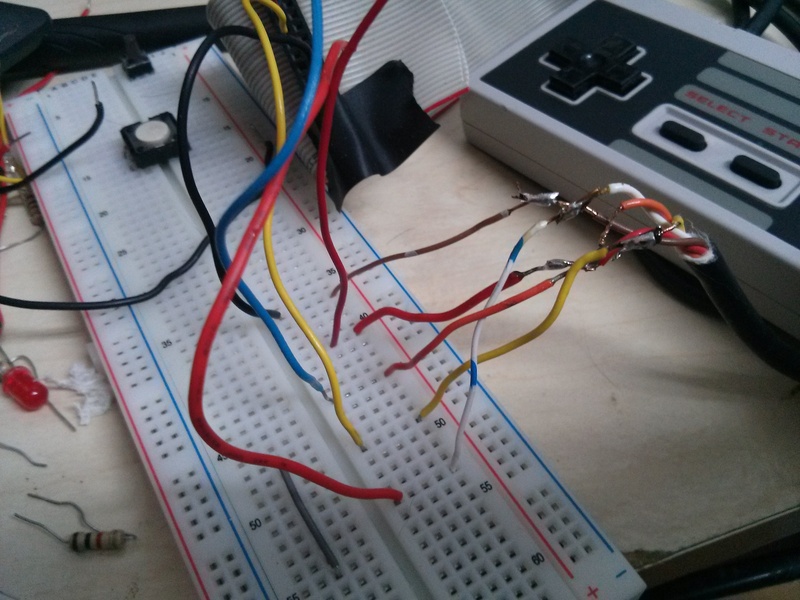 I spliced the wires on the NES controller (thanks to this diagram) and used a breadboard to connect the appropriate wires to ground, +5V, the data, latch, and clock pin. Now I can play Mario in retroarch with a NES controller! Could You repost "this diagram" thing again please ?